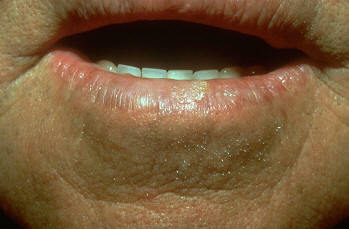 It is important that anyone with AKs be under a dermatologist’s care. AKs are considered the earliest stage in the development of skin cancer and have the potential to progress to squamous cell carcinoma, a type of skin cancer that can be fatal. Anyone who develops AKs has extensively sun-damaged skin, which makes one more susceptible to other forms of skin cancer, including melanoma. Melanoma is considered the most lethal form of skin cancer because it can rapidly spread to the lymph system and internal organs. What is the Causes of AK’s? Years of sun exposure cause AKs to develop. All AKs, including actinic cheilitis, develop in the skin cells called the “keratinocytes,” which are the tough-walled cells that make up 90% of the epidermis, the outermost layer of skin, and give the skin its texture. Years of sun exposure cause these cells to change in size, shape, and the way they are organized. Cellular damage can even extend to the dermis, the layer of skin beneath the epidermis. Individuals with fair skin, a history of cumulative sun exposure, or a weak immune system are at greatest risk for developing AKs. 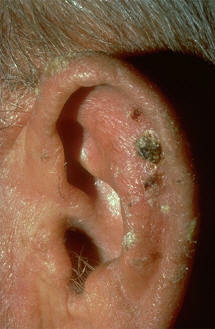 These lesions develop on areas of the body that have received years of sun exposure, such as the face, ears, lip, scalp, neck, forearms, and back of the hands. AKs usually appear after age 40 because they take years to develop. However, even teens can have AKs when they live in areas that receive high-intensity sunlight year round, such as Florida and Southern California. Research shows that p53, a mutant protein found in sun-damaged cells in the body, is present in more than 90% of people who have AKs and squamous cell carcinomas. Be sure to see a dermatologist if you notice a lesion that looks like any of the above or a lesion that begins to thicken, bleed, itch, or grow. How can I Prevent Actinic Keratosis ? Get vitamin D safely through a healthy diet that includes vitamin supplements. Don’t seek to get vitamin D from the sun. Generously apply sunscreen to all exposed skin. Before going outdoors, generously apply a sunscreen that has a Sun Protection Factor (SPF) of at least 15 and is broad-spectrum — protects against both ultraviolet (UVA) and ultraviolet B (UVB) rays. While outdoors, re-apply the sunscreen every two hours, even on cloudy days, and after swimming or perspiring. 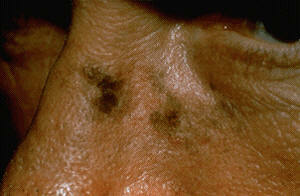 When caught in the early stages, AKs and all types of skin cancer are treatable and in most cases, curable. 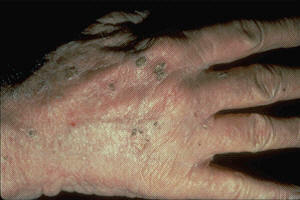 The key to early detection is frequent skin examinations. 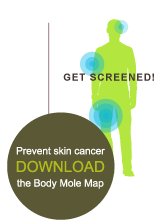 Performing regular self-examinations and being screened by a dermatologist as needed can help detect AKs and skin cancer in the earliest and most treatable stages. 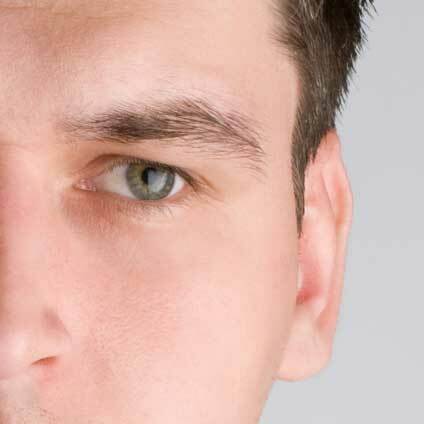 If you find a suspicious skin lesion, be sure to see a dermatologist for diagnosis — even if the lesion seems to appear and then disappear for weeks or months and reappear. Dermatologists receive extensive medical training in skin conditions and have the experience necessary to diagnose various skin lesions. An accurate diagnosis is the first step to successful treatment. There are several treatment options for AKs, including cryosurgery (freezing), surgical excision, curettage (scraping) with or without electrosurgery (heat generated by an electric current) and topical (applied to the skin) medications. Lasers, chemical peels, dermabrasion, and photodynamic therapy may also be used.